KUALA LUMPUR: Graduates of Asia School of Business (ASB), a global business school founded by Bank Negara Malaysia and the MIT Sloan School of Management in the United States, are in high demand, with many receiving job offers well before their convocation. 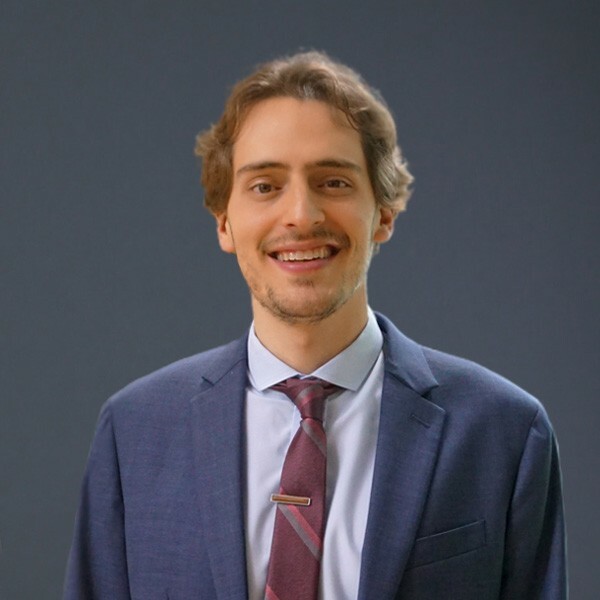 As the MBA graduates of Class of 2019 receive their scrolls today, they are finding that their educational accomplishments are sought after across Asia and beyond. Graduating students have received job offers from well-known companies such as Amazon, McKinsey, Gap, Facebook, AirAsia, Esquel, Didi, JobStreet, Microsoft, Liberty Mutual, Maxis, and numerous others. 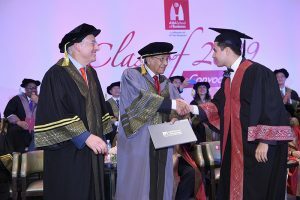 At the ceremony celebrating their graduation, Guest of Honour Tun Dr Mahathir Mohamad, the Prime Minister of Malaysia, delivered the commencement speech and congratulated the graduates on their accomplishments. He was later awarded an honorary doctorate by Professor Charles Fine, President and Dean of ASB. One of the key factors contributing to the high employability of ASB graduates is the Action Learning curriculum in the MBA programme, where students spend more than seven months of their 20-month programme solving real-world business challenges, on-site, in companies across Asia and beyond. Professor Fine thanked the ASB Board of Governors, many of whom lead companies that hosted student teams for their Action Learning projects. He also thanked the 96 corporate partners from 18 countries that have hosted ASB students in Action Learning projects since the school was founded in 2015. The long list of companies that hosted student teams includes AirAsia, Sapura Energy, Esquel, Daiwa Steel, Bangkok Bank, BJC of Thailand, Del Monte, Microsoft, Petronas, Maxis, Johnson & Johnson, Nestle, Samsung and Unilever. 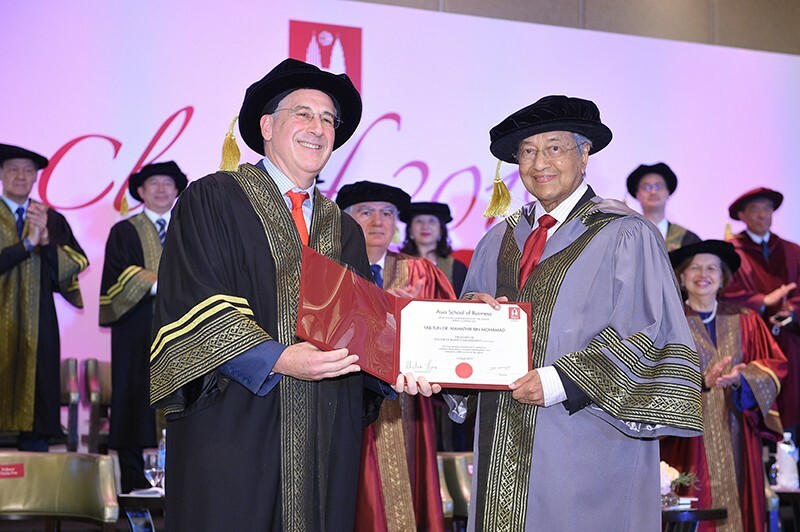 Tun Mahathir presenting the President_s Leadership Award to Ricardo Acosta Latapi (R). Looking on is ASB President and Dean Professor Charles Fine (L). Fine added that the teamwork-centric feature of the student projects helped them learn skills for collaboration, a core value at ASB. Finally, he noted that the host companies directly reap benefits of improved productivity from the student’s energy, education, and problem solving. On ASB’s future direction, Fine mentioned plans to expand the academic programmes to include a part-time MBA and short courses for executive education. ASB will also work towards increasing the number of students per intake once its new state-of-the-art campus is ready next year. Asia School of Business (ASB) was established in 2015 by Bank Negara Malaysia in collaboration with MIT Sloan Management to be a premier global business school, a knowledge and learning hub infused with regional expertise, insights and perspectives of Asia and the emerging economies. ASB is committed to develop transformative and principled leaders who will contribute towards advancing the emerging world.